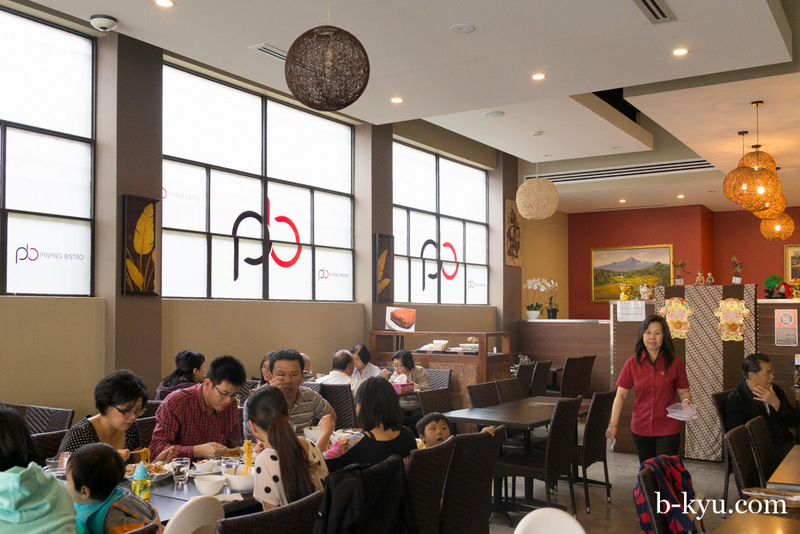 Our old favourite Pingansia Noodle House is reincarnated as Pinang Bistro in Kingsford. 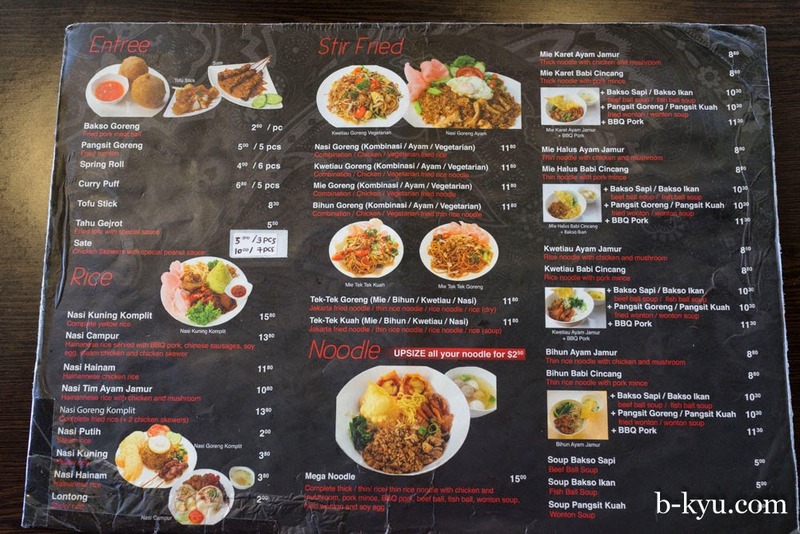 Pinangsia Noodle House in Kingsford was one of the places that inspired us to start this blog, it was where we discovered we could get Indonesian chicken noodles in Sydney, one of our favourite street food finds from a Jakarta trip years ago. Alas Pingansia Noodle House closed but the same folks started Pingang Bistro some time ago. The new digs are pretty flash compared to the old spot: it's spacious with high ceilings and there's even a kiddie play area at the front. We miss the crowded hullabaloo of their old hole-in-the-wall restaurant, though we don't mind the extra elbow room in the new one. Nasi Kuning Komplit - $15. 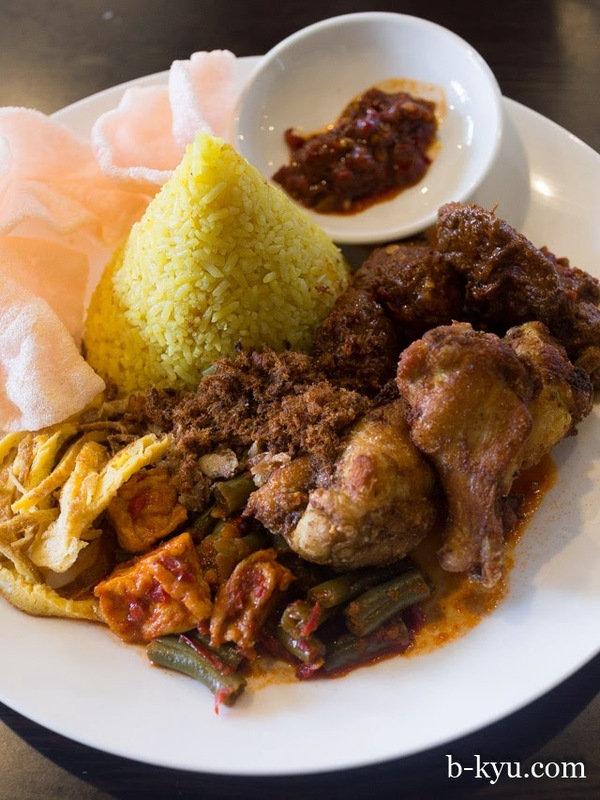 Yellow rice flavoured with tumeric with a bit of everything: beef rendang, fried chicken, tofu and lovely mystery crunchy bits. 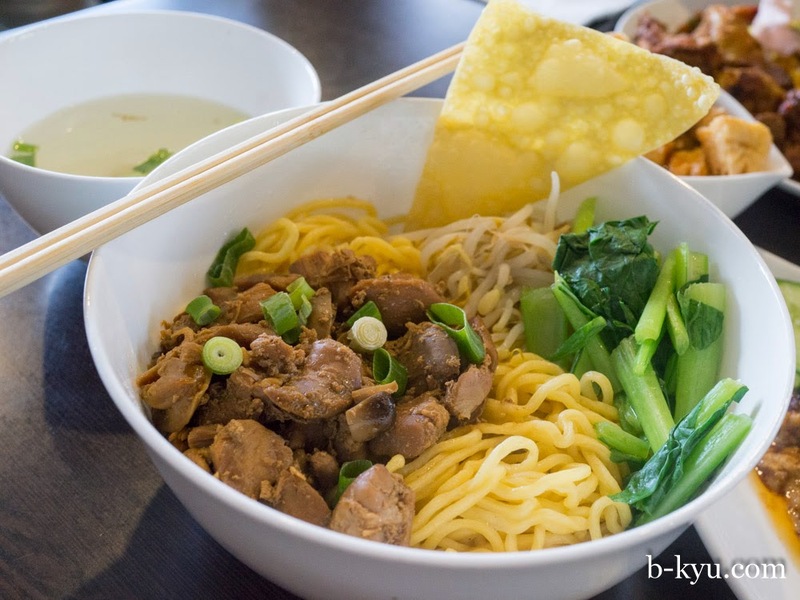 Mie karat ayam jamur - $8.80. Our ye olde favourite of yellow chicken flavoured noodles with chicken and mushrooms on top, soup on the side. 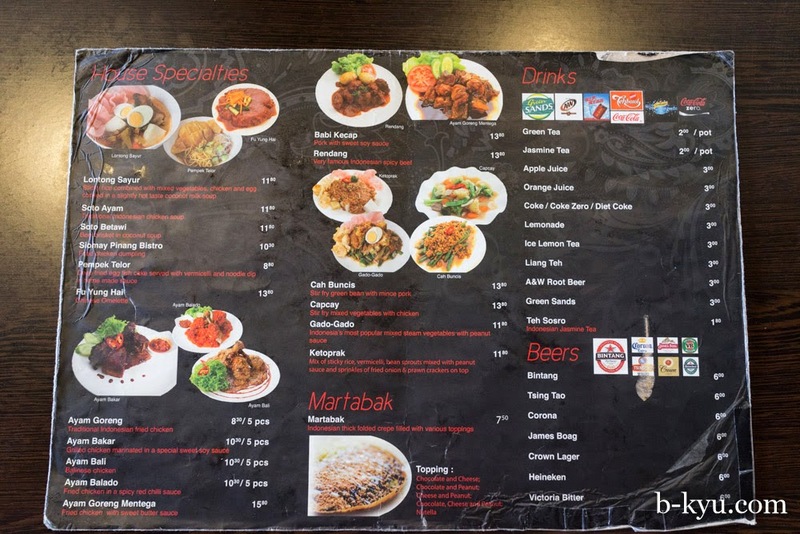 It's great but we're can't agree if reaches the lofty heights of the version at their Pinangsia Noodle restaurant. Shawn reckons the noodles don't quite have that same buttery magic. Alison reckons the noodles are just as good and Shawn's brain took a wrong turn down memory lane. It's still a favourite all the same. 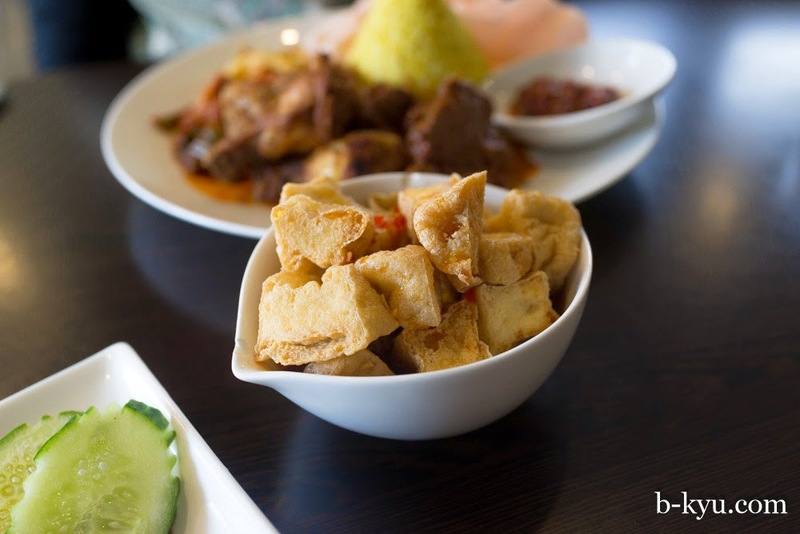 Tahu gejrot - fried tofu with special sauce - $5.50. Tofu puffs fried with a nice light crisp to the skin. These are best when you give them time to soak into the sweet sauce in the bottom of the bowl. 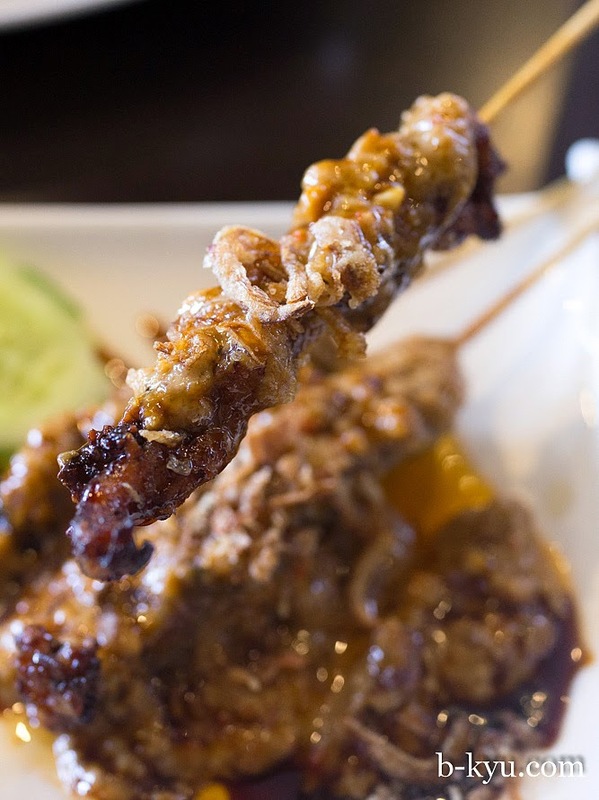 Sate - chicken skewers with special peanut sauce - $5 for 3 sticks (or $10 for 7 sticks). 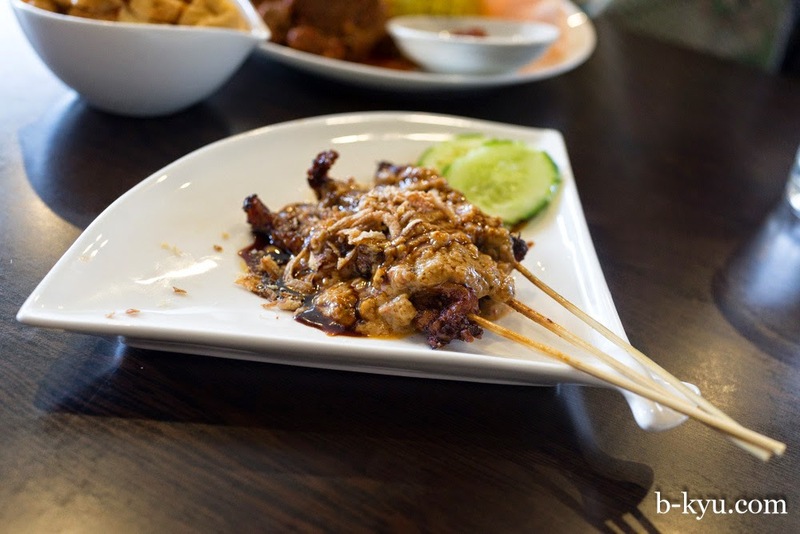 Grilled chook on a stick smothered in a rich sauce of peanut and what we guess to be kecap manis, plus some fried shallots for texture, love that sweet/salty combo! The chook is in this slices which is the way it should be. 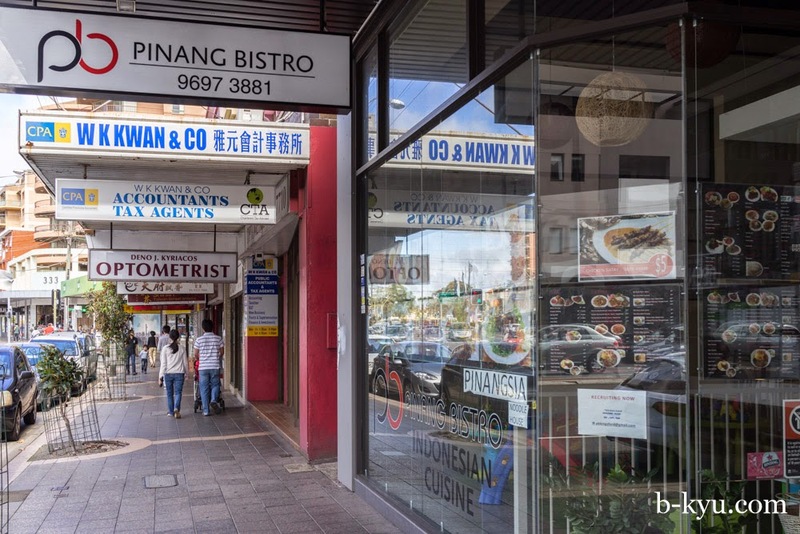 Pinang Bistro is at 313 Anzac Parade, Kingsford. Phone 9697 3881.